This is a formidable challenge, and completion within 24 hours is a fine achievement that doesn't come easy. However you finish this event, you're likely to feel very happy about being on the finish line with all those mountains and ups & downs behind you. It's certainly a difficult event to fully prepare for, indeed when else might you scale England's highest mountain in the dark?! So this is unique, challenging, difficult, fun, and satisfying - all rolled into a 24 hour period. 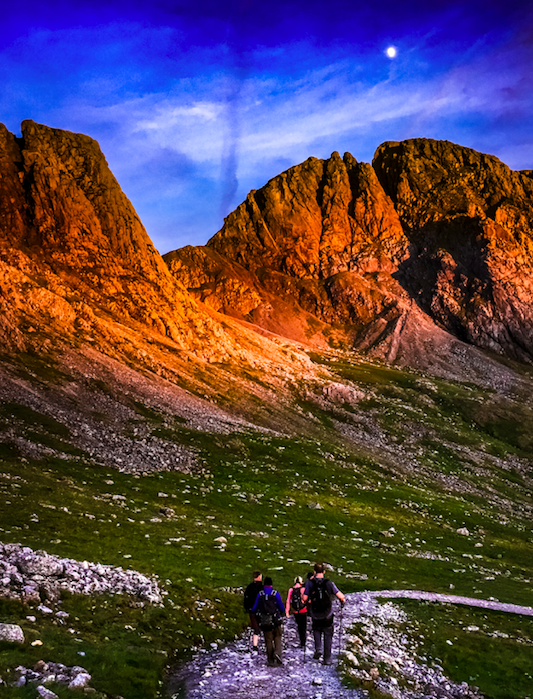 For many, climbing Scafell Pike is the most difficult and worrying part of a 3 peaks challenge. Often teams ascend during the hours of darkness, and for this you will either need to be highly proficient with map and compass, or hire a guide to take care of the navigation for you. It's not unusual for parties to become lost on Scafell Pike even during the daytime, so imagine what it will be like at night. Hard to imagine really, this has to be experienced to be believed, there's no other way. Climb Scafell guides are very knowledgeable about the area and know the route every step of the way, day or night! We have ascended Scafell Pike hundred's of times, often during 3 Peaks Challenge events, so rest assured you're in safe hands. Using a qualified and experienced guide enhances your enjoyment and increases the success rate for participants. We keep in touch with you during your journey from Ben Nevis (or Snowdon) and meet you at Wasdale Head all ready for the ascent. In advance of your event date we will be on hand to offer help and advice on areas such as: what equipment to bring; weather; training tips; travelling times; walking distances & times; starting times for the first mountain and knock on effects of this; fitness; group size. We know all 3 mountains very well, and will do our best to answer any questions relating to any of the mountains and anything else to do with the event. 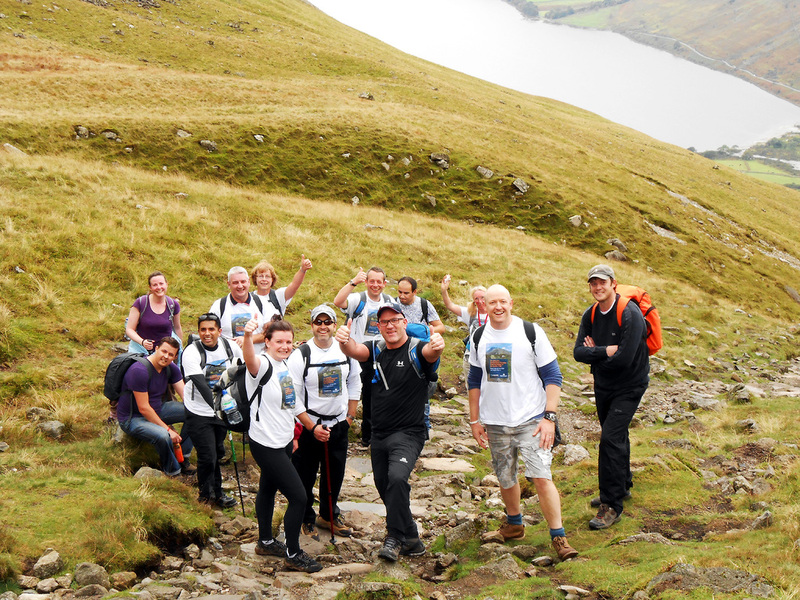 We also provide training and preparation days for the 3 Peaks Challenge.